You can choose only from the current five Founding Fathers. But with ALT-WIN (cheating) when you have to choose, you just press Esc and it will give you an another choice. Unfortunately, I have the re-released version of Colonization/Civilization CD that came out last year. You can not do the alt WIN cheat. I used to love being the French, until about a year ago. Then I switched to the Dutch. I love being able to keep the commodities up high!!! I usually give some rum or other gifts free to the close Natives, so they keep at peace with me. 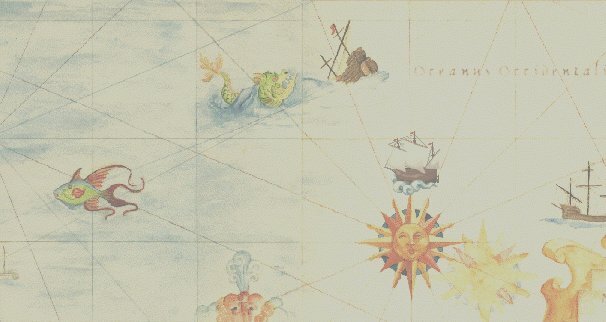 I had an observation about the colonies which are not near the ocean. When War of Independence, regular Tory Expeditionary units can not reach these colonies, so there is always a tory uprising in these colonies (when the Parliament arms tory militia). I never kill friendly natives. And when a native tribe appears to be cautious, or if they steal my scouts' horses, I usually burn one of their smaller villages and then they "bow to me" (they want peace), or I give them rum, trade goods, muskets or tobacco as a peace offering, a gift. My favourite tribes are the Cherokee and the Apache. I like the Iroquois and the Incas. I don't like the Sioux and the Aztecs. And I hate the Tupi. If you cheat, in the Cheat directory there is a "Change European Power". If you are there during the War of Independence, and you change the European Power to the one which withdrawed from the New World, and the Tories have at least one conquered cities, you will be able to control the Tories. Hi, gang. I was wondering if anyone knew about the following bug I ran across, and if so, what can be done about it, if anything. Playing as the French, I was having one of my best games ever; scores of dragoons, a dozen artillery in each colony, 100% rebels, the works. Declared independence. Problem is, every time I lose a battle, my guys aren't getting demoted, they're vanishing, I lose the guns, horses, and soldiers all at once. Needless to say, I'm getting creamed. Has anyone encountered this before? I'd like to go back to the beginning of the war and get my score right. At this rate, even if I win, my score won't be very good because I'm losing all these colonists. I'm playing with version 3.0, which I believe is the most recent. Any help anyone has would be appreciated. When you declare independence has one power ALWAYS withdrawn from the = newworld. ie. does a power need to be destroyed so the game mechanics can use it to play as the Tories? Well, I hadn't thought about it as needing to free up a slot to play the Royal Expeditionary Force, but yes, one power needs to withdraw. This is because, as soon as you hit 50% SOL, one power withdraws, and you need 50% to declare independence. Basically what I have always done to get rid of the European Power, I will take my first city assign 3 people to statesman position and it quickly goes to 50% and forces the weakest power to leave. 9 times out of 10 it is the Spanish, because they are the weakest starting out, since they always fight the Natives. If you go in the CHEAT directory you can find an option. If you click at it once, a European power will redraw from the new world because it's losses in the European war of 7 yrs. On a second click, you will gain independence from your mother country no matter how many loyalists or rebels you have. (But if you don't have a colony when you do this than the computer says that the King controls all of you colonies and you lose). Now you can switch to the power which withdrawed from the new world, but you MUST have a Tory colony in the New World! On a third click another European power joins the War of Independence on your side and will help you with it's Intervention Forces. And on a fourth click your independence will be forced at the next turn (if you are at the end of turn and you choose this fourth option, you go forward a turn and the Royal Forces will be automatically annihilated by your Rag-Tag Armies :-) ). Yes that is easy. All you have to do is have a newspaper in every Colony with 3 expert statesmen. Make sure all colonies are at 100% SOL then each statesmen gets +2 productivity and you get more continental troops. You will only have to hold out a few turns until you get reinforcements and the very handy and cool man-o-war. If you have a galleon in each port stuffed with horses, this will give you enough to refit 12 damaged dragoons so you can hold out even longer. Horses aren't that expensive to buy, and privateers always capture a few. Yes, I have reached the European intervention, I think the larger army you have the less support you get from the intervention. Questions about the .txt files. I have never experienced deforestation either. But remember the game was shipped only two weeks after they decided to reduce the Colony radius from 2 to 1 (see the Sid interview on my site). So some old ideas like teachers and capital were still kept in the code but just deactivated. Like the depletion of the silver mines, this can happen to squares with the pine tree. This may be when you get a lot of pirates around your coastal colonies and the King offers to send you a Frigate for defence, usually at the cost of a 10% tax hike. Then he talks with you asking if want it. You also get the option of having a tax 'party' to avoid the next tax hike, it might also be used here. This is when the King uses an excuse for a tax hike i.e. I am at war with ..... and need to raise more funds for the war effort. Other excuses are marriages, navigation acts or disloyalty. Probably happens around royalist Colonies during the Revolution, or maybe when Sons of Liberty goes below 50%. Yup. This happens during revolution, if the battle for independence is taking a while or your rating fluctuates. Happens a lot to me. Its a reference to the famous TV show 'Lost in Space'. It probably was used by the coders to warn them of a bug or glitch.